As many as 50 loggers have been kidnapped by Boko Haram jihadists. They were abducted near the northeastern Nigerian town of Gamboru close to the border with Cameroon. According to the Agence France Presse, AFP, this development was made known by civilian militia and residents on Thursday. The hostages who are mostly from a camp for people displaced by terrorist violence were on Saturday rounded up by fighters loyal to factional leader Abubakar Shekau while collecting wood at Bulakesa village, 25 kilometres (15 miles) from Gamboru in Borno state. “The men were rounded up and taken away by Boko Haram insurgents and nothing has been heard from them,” militia leader Umar Kachalla said. “Two of the loggers escaped and returned home and broke the news. We don’t have a precise number of those taken but usually the loggers move in a group of more than 50 men,” Kachalla said. The loggers were encouraged to venture deep into the bush to collect firewood by a recent military operation that pushed the jihadists out of the area, another militia Shehu Mada said. Last month troops dislodged the terrorists from the nearby town of Wulgo and surrounding areas following incessant attacks on loggers. “The general assumption was that the insurgents had left the area only to suddenly appear and encircle the loggers,” Mada said. Some of the loggers joined the team to collect metals from the shells of vehicles destroyed in the military offensive against the fighters, he said. “We believe the number of the those abducted exceeds 50,” said Gamboru resident Babagana Musa. 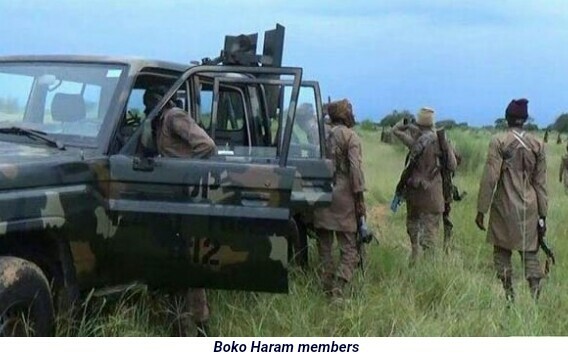 In April Boko Haram militants gunned down 18 loggers at the edge of Wulgo forest, 15 kilometres from Gamboru, while returning from collecting wood. In January at least 31 loggers went missing and were believed to have been abducted by the jihadists near Wulgo, where 10 loggers were killed two weeks earlier.